Press Release (ePRNews.com) - SHENZHEN, China - Jan 20, 2019 - When it comes to methods adopted for prototyping, short-run and low-volume production can be achieved by using different manufacturing processes. WayKen is widely known as an expert when it comes to low-volume manufacturing processes that deliver an excellent level of quality coupled with expertise in the prototype production niche. WayKen is dedicated to low-volume manufacturing that will help both the small and large scale production company bring their designs into life. In today’s world, there is more desire for diversity and customization from clients all over the globe than there used to be. As the lifecycle of your product diminishes, more innovations are developed and brought to the labor market where everyone wants something new, something unique. Because of these new changes, WayKen has announced the low-volume manufacturing via rapid product developers that have helped shift concentration from production on a large-low quality scale to a low-volume manufacturing quality way. “Depending on the manufacturing process, processing methods, materials being used and mold tooling, low-volume manufacturing process basically involves the production from a range of 100-100K parts. Compared to the usual ambiguous costs and risks associated with production in a bulky and highly commercialized method, the adoption of the low-volume manufacturing process reduces the risk, reduces the time the product reaches the market, makes design flexible, and creates a wide range of opportunity which in turn save the cost of production”- Raymond. When low-volume product runs are created, it becomes easier to validate the engineering, design and manufacturability before going into investing in production materials. This also helps to double-check the product before finally sending it to the labor market. For those industry owners that need prototyping knowledge as to how they can increase the rate at which their products last in the product market without increasing the cost of production, the low-volume manufacturing process is surely going to help in that aspect. In addition to the low-volume manufacturing process, one of the advantages customers will enjoy is that of fast turn-around time. By fast turn-around, that doesn’t indicate that the product will be of low quality. Also today, it was said in an interview with one of the prototype experts at WayKen that as the costs of setup and tooling become more important parts of the customer’s entire project budget, the low-volume manufacturing process is even more cost-effective than the mass-production method due to the fact that they are faster in regard to building and decreased cycle interval, thus causing a reduction in the overall cost of production. The CNC machining plays an important role in custom manufacturing especially for the part that has components manufactured with either metals or plastics. Hence, this low-volume manufacturing is useful for those in that niche. Production in low-volumes in CNC machining is also an important assessment solution for mass productions. The low-volume in CNC machining covers a wide grade of products which includes: metals, plastics or aluminium components. The Sheet metal fabrication is the method of creating components from a metal sheet by punching, cutting, stamping, finishing and bending. Compared to the high cycle time and the high cost of setting up of high-volume production, the low-volume sheet metal fabrication will help reduce the setup time so that the changing over of jobs can be much easier and faster. 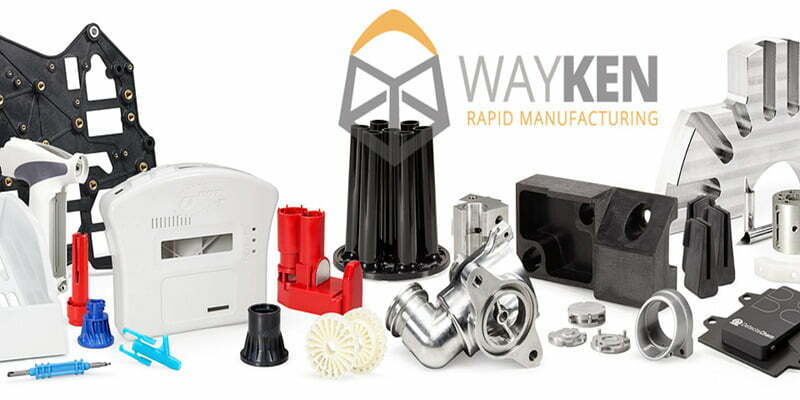 Ranging from a one-off prototype to low-volume manufacturing processes, WayKen offers a wide variety of manufacturing processes, parts, and finishing options. Capabilities of this method include fabricating components ranging from aluminium, steel, brass, copper and stainless steel. The rapid injection molding is a specialized and preferred choice for those customers that need the low-volume molded parts. This method is effective in the production of hundreds of production-grade plastic components and sets them up for verification tests as the production of the final product becomes visible. This cost-effective rapid injection molding also provides production on demand for end-use components for low-volume manufacturing. Traditional injection molding tooling processes are blended with the rapid mold tooling to produce rationalized and cost-effective advice from production processes, advice, manufacturability and designs.